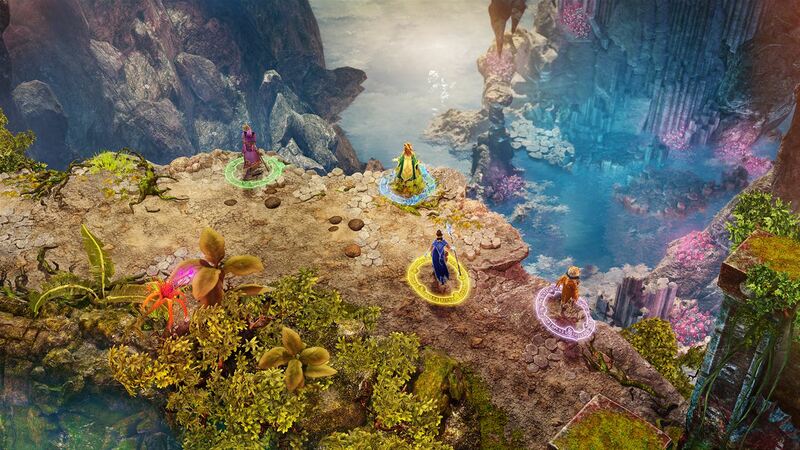 Nine Parchments Review: Do you believe in magic? Having played some of the best Co-Op games to date, including Torchlight 2 and Diablo 3, I’ve found myself at the point where I was craving the style of gameplay once again. Nine Parchments hopes to scratch that itch. The game acts as a Co-Op Blast’em up where you play an apprentice wizard casting spells. The nine parchment spells have been stolen from the Astral Academy, and it’s up to you to recover them and fill your spellbook. 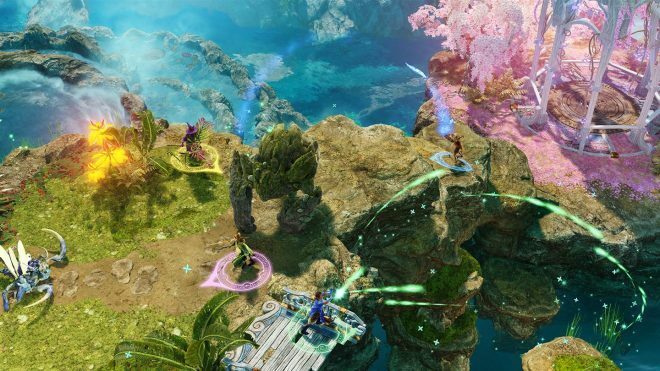 Can Nine Parchments live up to the magic or is this a title we should cast into oblivion? Simplified Control – Many games choose to take the more in-depth approach when it comes to combat. In games like Diablo, for example, you’re given a hot bar for most used items like potions or spell scrolls. If you need to add more to the bar during combat or switch out items, you’re required to open the inventory and control everything real-time. Nine Parchments does away with the inventory screen altogether. Instead, the only menus you need worry about are holding your various wands, hats and skills, which can be accessed during or at the end of a level. Combat consists of manipulating the triggers to cast spells, the bumpers to choose spells and occasionally mashing the X button to teleport around the battlefield. Unique Characters – Starting out in Nine Parchments, you’ll have access to two characters. The boy’s strong point originates from the use of fire magic. The girl depends on healing magic to keep herself and the party alive. As you progress through the game, you’ll find different wands for different characters. Upon finding a specific statue, you’ll be required to complete a trial using that character’s wand. Once the trial is completed, you will then unlock that character. The best choice of character is the one that best holds to your playstyle. From a robotic owl to a groundskeeper with a strange mask, the different characters make for some quirky gameplay. If you want to play as any of these characters, however, you’re required to start a new game to do so. This can be a bit of a turnoff to those who are late in the game and playing as a near fully leveled character. It does help with the overall replay value of the game though as well. Enemy Types – At the start, the enemies you encounter may not seem like much. Though in the later levels, some of the combat scenarios you get in will have you switching between spells consistently. Some enemies spawn with a shield that protects them from a certain element. Standing in a circle with larger mini-boss type enemies can add further element protections on them. If you aren’t paying attention to what colors are surrounding your enemy, you’ll end up wasting spell charges on them. This can lead to you being completely defenseless in a small area as your spells recharge. Larger enemies have shields that can bounce a spell back at you. Combine this shield with their spell protections, and it can really lead to some really complex fights. No Level Select – Nine Parchments comes complete with 32 unique levels. 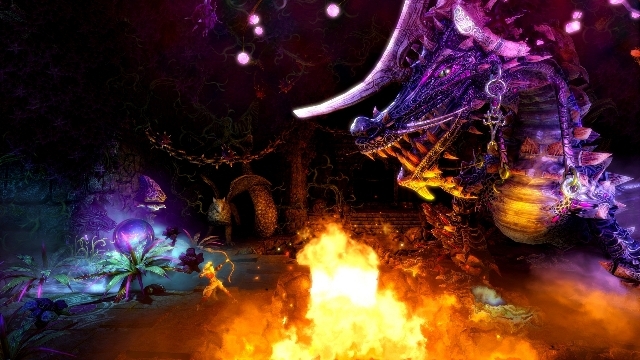 Many of the levels have you progressing from start to end, combatting enemies. In those levels, there are three chests and five quills to find and collect. The chests normally lead to nothing but a small experience gain or a hat. The quills, however, unlock different variants of wands. Nine Parchments has no level select. Upon completing the game, your current save is deleted. You keep your characters levels and skills, as well as any wands or hats you may have collected. Any collectibles you missed will require another play through the game to collect. Co-Op Challenges – Nine Parchments is definitely a game that relies heavily on Co-Op gameplay. For those who don’t have anyone to play with or those who choose to play the game solo, it can really come as punishment for doing so and limit the player to certain characters. Different characters are unlocked simply by finding their wand and using it in a simple trial. Alternate versions of these characters can be unlocked by doing 3 specific challenges tied to that character. Some of the challenges are something that someone can achieve on their own. 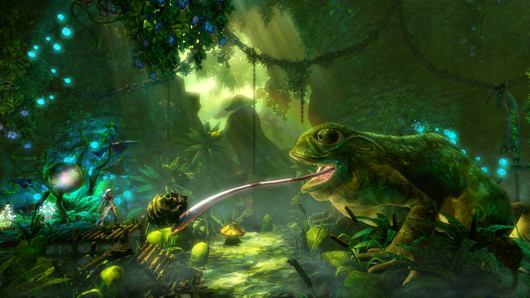 Other challenges, however, require the player to be playing in Co-Op to achieve. This means if for any reason you don’t have access to online multiplayer or you don’t have anyone to play with locally, you’re locked out from unlocking that alternate character. Co-Op Enemy Health – Many Co-Op games will normally increase the difficulty depending on how many people are playing together. Unfortunately, Nine Parchments seems to take the idea and run with it to an extreme. In the earlier levels, it’s not much of a problem. As you approach the middle of the game, you and your partner will soon come to notice how much your enemies have become sponges and your spells become almost useless. It gets to the point where you find yourself spending almost 5 minutes fighting 1 or more enemies. This isn’t a minor issue. This is something that can be the choice between playing alone or playing with someone else. Nine Parchments is magical. The world is colorful and vibrant in some areas while keeping itself dark and gloomy in others. The narrator of the story helps to keep the player tuned into what is happening in the world around them. The game is functional from a solo player standpoint. The game is meant for Co-Op but unfortunately stumbles over the idea with some of the later battles. If you can warrant playing alone or dealing with the ridiculousness of enemies at a later time, then the game is worth picking up. If you don’t have anyone to play with and can see that as dampening the experience you may want to avoid the game altogether. 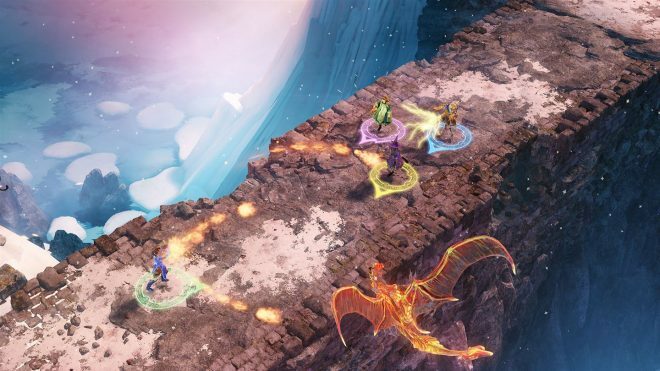 Nine Parchments was developed and published by Frozenbyte. The game released on 3/7/2018 for $19.99. A copy was provided for review purposes.